When you hear the words, pond liners, what comes to your mind? If you are like many people in America, retention ponds and water gardens are the first two images that appear. While it is true that pond liners are used for such things, there are other possibilities. For instance, pond liners are perfect for creating backyard streams. Building a backyard stream typically starts with excavation and the purchase of supplies. In addition to a pond liners and gardening tools, youll also need river stones, a water pump system and foam sealant. Depending on the streams size, the entire project may just take you a weekend or two to complete. Of course manmade streams are not the only water feature that may be created with the aid of pond liners. They can also be used to create manmade waterfalls in 16 hours or less. To build one youll need basic hand tools, rolled mesh, a pond liner, water pump and stones. And if you are not particularly savvy at plotting out water feature designs, dont worry. Simple-to-read project blueprints for both manmade streams and waterfalls are readily available online. Just a quick search should turn up more than enough design options to make your head hurt. As far as choosing the right pond liner for your backyard stream or waterfall, feel free to pick our experts brains. 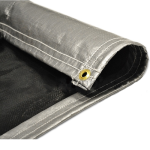 Weve been custom manufacturing and selling first-rate pond liners for well over 25 years now. So there is a 100% chance that well have time tested answers to all of your pond liner questions and products that youll be able to rely on through and through. To learn more and get your questions answered straightaway, please contact us online or toll-free today. Well be near the phone, Monday through Friday, from 8 a.m. until 6 p.m. Our number is (877) 811-3911. This entry was posted in pond liners and tagged containment liners, pond liners on July 31, 2014 by CanopiesAnd Tarps. Dont clean the tarpaulins with harsh commercial or household cleansers. Doing so could cause any waterproofing or other special coatings to deteriorate. In some instances, the chemicals could stain and degrade the vinyl or poly too. Do consider making tarpaulin cleaning projects easy on your back and knees. The best way to do that is to reach for a long-handled push broom and squeegee. If you do need to get on your hands and knees to clean a stubborn spot, remember to use knee pads and proper posture. They may help keep the post-cleaning aches and pains away. 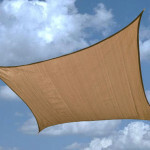 Dont allow wet, heavy duty or vinyl tarpaulins to fold over or sit in the shade. Otherwise, your tarpaulins could end up developing mold or mildew spots in no time. Instead, hang the wet tarpaulins up on a clothes line that will allow them to be bathed in sunlight until they are completely dry. Do give vinyl and heavy duty tarpaulins the once over before putting them back in use or away for the season. If any damage is present, go ahead and get it taken care of straightaway. Most vinyl and heavy duty tarpaulins are easy to repair and our experts would be more than happy to walk you through the process. 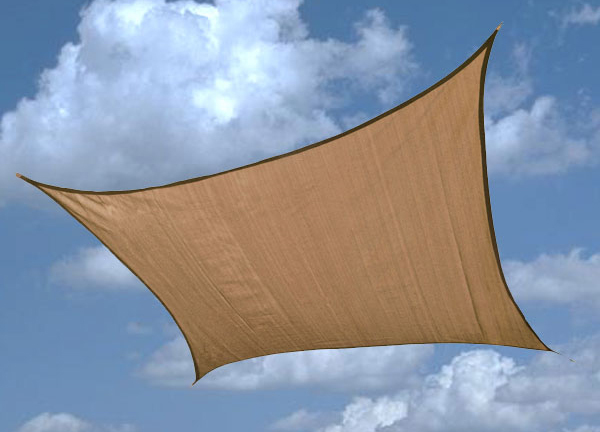 Though we dont expect that need to arise very often because our tarpaulins are renowned for their incredible durability. To learn more about cleaning or maintaining heavy duty poly and vinyl tarpaulins, please contact us. At Canopies and Tarps, we make selling high quality products and assisting valued customers our first priorities. This entry was posted in vinyl tarp, vinyl tarps and tagged poly tarps, vinyl covers on July 28, 2014 by CanopiesAnd Tarps. By now, most folks have already heard about, or encountered, Asian tiger mosquitoes. The -inch long, seeming insatiable blood suckers are making their way around the world like a bad, B, sci-fi movie from the 1950s. And they are doing so rather quickly too. Thats because each female may produce up to 150 offspring a week and all her eggs need to hatch is standing water that is 60 Fahrenheit or more! Good thing there are vinyl tarps and machine covers that may help keep the biting bane of the world at bay. Well-fitting machine covers and vinyl tarps help to keep rainwater from pooling in areas around a home. So that, in turn, helps to make properties less attractive to Asian tiger mosquitoes. At Canopies and Tarps, we have both 5-sided machine covers and waterproof vinyl tarps available for purchase. Thus, finding tarps and covers capable of minimizing a home or business standing water problems shouldn’t be difficult. It is widely believed that the Asian tiger mosquitoes are attracted to dark colors and may deposit their eggs in very little water. That said, wed strongly recommend choosing a light color tarp or silver machine cover. Some of the chief colors to avoid are red, black, forest green and navy blue. Colors that may prove to be most successful at deterring the winged creatures are white, translucent and tan. 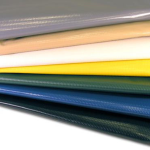 At present, our 5-sided machine covers come in two types, polyethylene and fire-resistant vinyl. Depending on which machines are present on a property, custom sizes may be necessary. Remember, the goal is to eliminate little pools of water, not create more with ill-fitting covers. 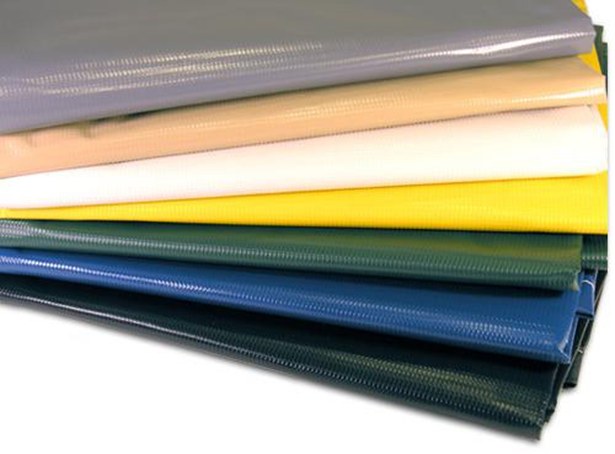 As for our vinyl tarps, they come in a wide range of weights, colors and sizes. To learn more about them and receive assistance in choosing the right ones for your battle against Asian tiger mosquitoes, please contact us today. This entry was posted in vinyl tarps and tagged vinyl tarps on July 28, 2014 by CanopiesAnd Tarps. Betting on a big business win isnt all about providing attendees with stacks of poker chips and beer nuts. Think about hosting a golf ball bingo night inside one of our party tents instead of the standard casino night. Use afree bingo card generatorto create golf themed cards and order golf balls with your companys logo on them. The golf balls can serve as the bingo chips. Hosting an evening golf auction and cocktail hour underneath of a colorful, commercial party tent is a great idea too. Consider auctioning off golf caddy wine bottle holders along with vintages produced by famous golfers. A few to think about adding to the auction are Jack Nicklaus, Arnold Palmer, Ernie Els and Greg Norman Estate Wines. For the foodies in your group, muse over the idea of hosting a tented garden party that includes a lecture on foraging. Explain that foraging for wild edibles is a lot like looking for sales leads. Then treat everyone to a meal that includes a light and lovely salad display, dipping station and cold reception selections. Our Eureka party tents and Royal Pavilion Pop-Up Gazebos are also a wonderful place to host a morning yoga breakfast. We promise, the comfortable nature of our party tents and pop-up gazebos will really help attendees relax before their convention meeting. Consider giving everyone that attends a promotional yoga mat or towel. And allow a nearby catering team to serve them either a sunrise sampler, continental or good start breakfast. Lastly, think about inviting an author to your company meeting and holding a book signing luncheon in one of our luxury party tents. The largest ones are roomy enough to accommodate theatre, plated and buffet style set-ups.To learn more about these or other ways to improve the results of your next convention center meeting with party tents, pleasecontact usat (877) 811-3911. This entry was posted in party tents on July 17, 2014 by CanopiesAnd Tarps. Nationwide event planners may want to take note. Before long, Healthy Aging Month will be on our doorsteps and there is no better place to host an event than underneath of one of our deluxe party tents. Weve got an assortment of versatileparty tentsavailable that are sure to please. Event planners looking to host large seminars devoted to pre or post-retirement, fiscal health will appreciate our large, deluxe party tents. They can accommodate a multitude of set-ups and a great number of seminar attendees. For more intimate financial seminars, weve got smaller party tents available too. Plus, we offer mid-size party tents that are perfect for hosting a corresponding, catered meal or cocktail hour. Senior fashion show and dinner dance event planners will undoubtedly find that our deluxe party tents with side walls will meet their needs as well. Such Healthy Aging Month shindigs could be held in our 14 x 32 x 1-5/8 or 14 x 27 x 1-5/8 party tents. Our luxurious party tents would also be wonderful items to incorporate into a recreational vehicle or boat show for the soon-to-be or newly retired. Depending on the size of the show, event planners could opt to buy more than just one luxury party tent. That way, they could allow RV and boat manufacturers to hold seminars or additional companion events inside one of the other tents. Of course the above are not the only Healthy Aging Month events that could be held inside of our wide assortment of party tents. Some of our party tents are also tailor made for health fairs. For example, the health fair could be taking place inside one party tent and participating fitness instructors could offer mini exercise lessons in another one. To learn more about buying luxury party tents in time for hosting Health Aging Month events this year, pleasecontact ustoday. This entry was posted in party tent, party tents and tagged party canopies, party tents on July 17, 2014 by CanopiesAnd Tarps. 1.) Tomboy Tools Party" For the crafty ladies in your life, why not host a Tomboy Tools party? After all, it is Tomboy Tools and National Breastfeeding Month you know. And the two go well together for one simple reason. The tool company makes great items for women and has a history of donating a portion of their proceeds to help fightbreast cancer. So you could put up a party tent, teach others to do for themselves and help raise funds for a breast related cause. 2.) World Mutt-i-grees Rescue Month" Its alsoWorld Mutt-i-grees Rescue Month. So letting your party tent go to the dogs would definitely be appropriate. Invite everyone you know and their pets to the party. Raise money for your neighborhood shelter and serve healthy, bone shaped treats to everyone that chooses to attend. All you need to shape the treats is a bone cookie cutter and silicone molds. 3.) U.S. Catfish Month" Fish fry anyone? This month is traditionally devoted to celebrating Americas longstanding love affair with catfish too. Therefore, we cant think of a better excuse to party than a giant fish fry. Set up tables under the party tent and serve fried catfish along with a mess of greens, sweet corn-on-the-cob and homemade hush puppies. Yum! 4.) National Goat Cheese Month" If you are not into fried catfish, no problem. ItsNational Goat Cheese Monthas well. So break out the wine and platters. Then meet under the party tent for a goat cheese tasting good time. You dont have to stop after the cocktail hour either. There are plenty of salads, soups, entrees, side dishes and desserts that can be made with goat cheese too. 5.) American Artist Appreciation Month" Lastly, if you love great pieces of art, set up an outdoor gallery underneath of your party tent. Its American Artist Appreciation Month. Therefore, you could host an art themed dinner amongst replicas of your favorite, American artists works. To order the ideal party tent and accessories in time for August revelry, pleasecontact usby calling (877) 811-3911. Wed be delighted to help you party this August in comfort and style. This entry was posted in party tents and tagged party canopies, party tents on July 3, 2014 by CanopiesAnd Tarps. Party Tents and Fall Weddings: Let the Planning Begin! Fall weather is notorious for being warm one moment and cool the next. As such, take steps to ensure that your bridal party and guests will stay warm. Consider ordering a portable heater to use with your party tent and surprise the female members of your bridal party with pashminas that match their gowns. The men may appreciate matching shawls or sweaters. If you havent chosen a color yet, think about going with a classic, warm hue. Good picks are chocolate browns, reds, yellows and oranges. Those types of colors are typically found in a variety of wedding decorations and would truly look lovely up against white party tents. Plus, you could also easily incorporate seasonal items into the mix. Speaking of seasonal items, consider decorating the path leading to the party tent with fall foliage, pumpkins and hay stacks. Theyd undoubtedly fit in with a country setting and you could donate the remaining items to a local day care or preschool. Inside the party tent, consider decorating with fall flowers. If you choose to keep them in decorative pots, after the honeymoon, they could always be planted in your home garden as a wonderful reminder of your wedding day. If you plan on using candles at your wedding ceremony and reception, its vital to choose the right type of party tent. Select one that is flame retardant, features several exits and offers great ventilation. At Canopies and Tarps, we have several party tents that have those features. To learn more about them and other party tents for fall, pleasecontact usat (877) 811-3911.